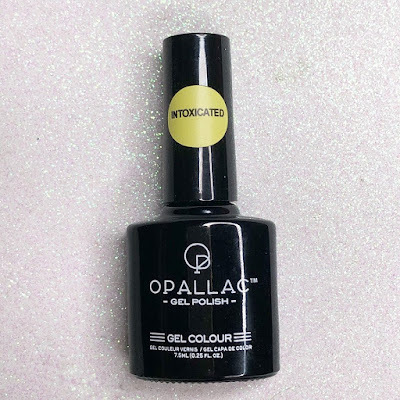 I know I post about Opallac quite a lot - but a quick recap for those who are new here... these are amazing gel polishes that are available in Australia on their website and through Priceline. I could rant for days about how much I like them, they easily hold their own against some of the professional brands I have in my collection. 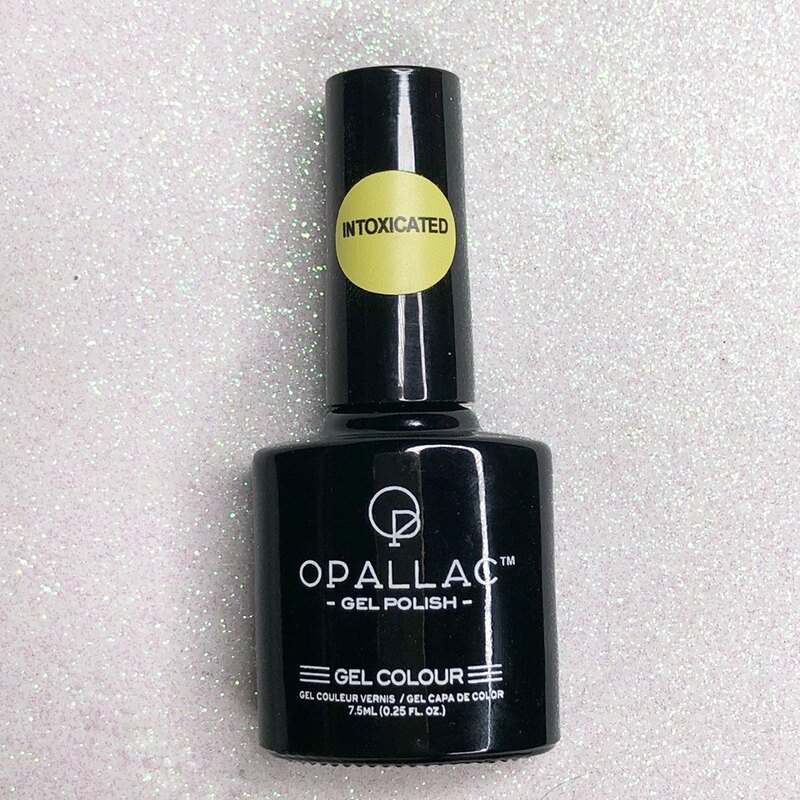 So here today is the latest colour from Opallac - a neon yellow called Intoxicated. 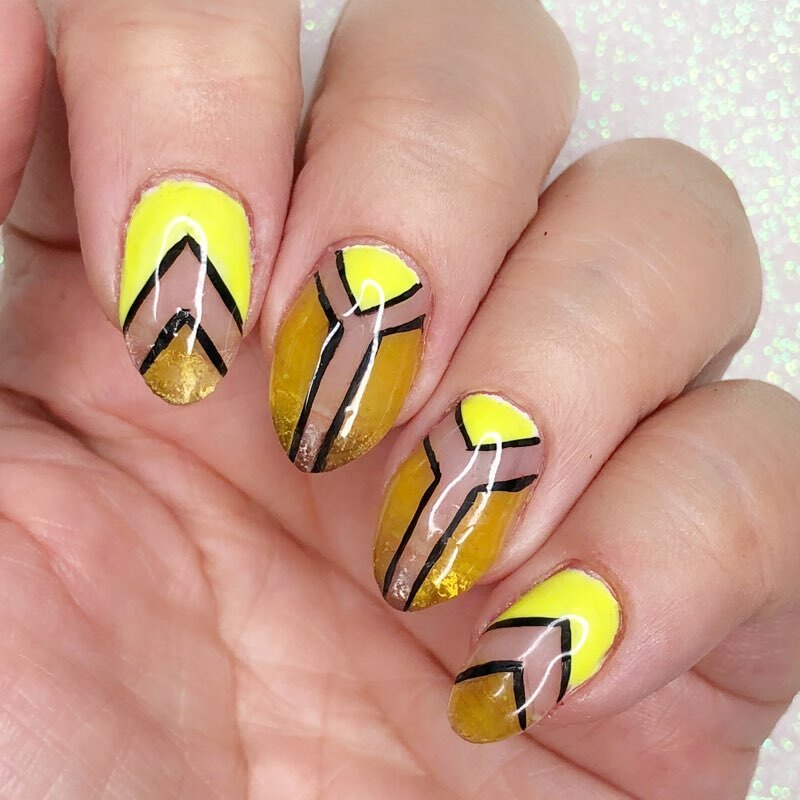 I'm a huge sucker for neon colours so of course I loved this! 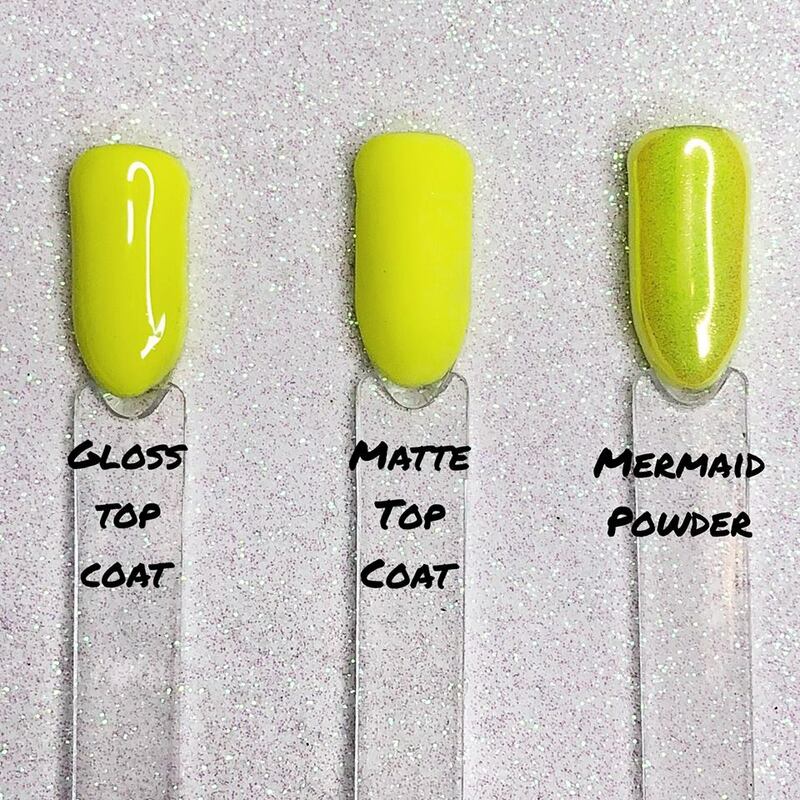 It's quite pigmented so you don't necessarily need a white base for it, but it is still a neon so you do need 2-3 thin coats for full opacity. I have used this in so many looks already, as by itself you get a full eyeful of neon goodness, but you can break it up with some art for some really funky nails. 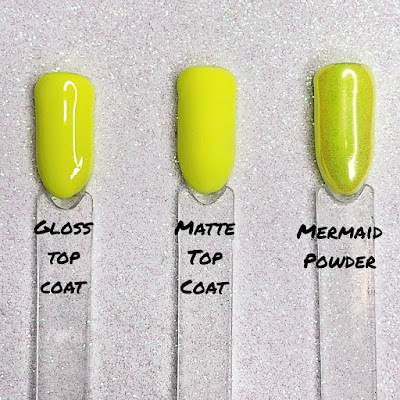 Below I have done a few swatches with a gloss top coat, matte top coat and mermaid powder. 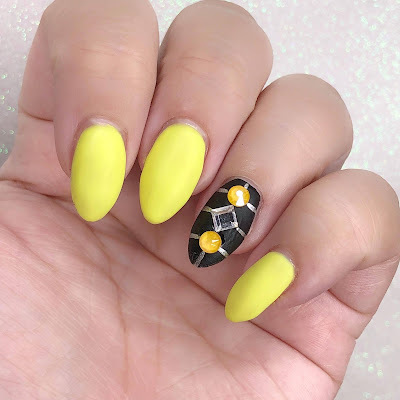 Each gives a different look, but all are super pretty. 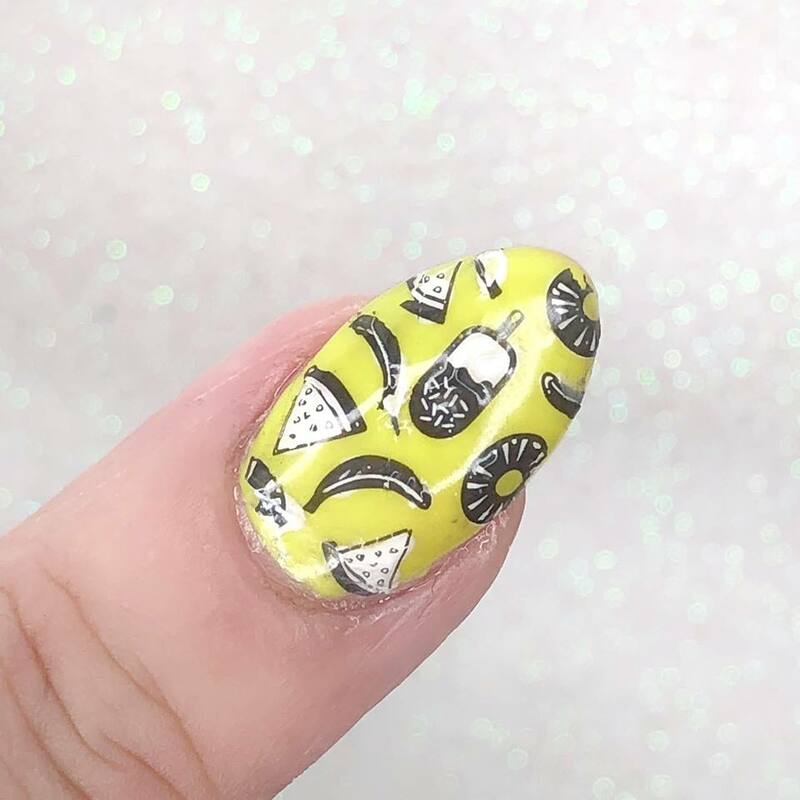 You can also see some designs using Swarovski crystals, reverse stamping and some (dodgy) hand painting teamed with Opallac's Jelly Pina Colada. 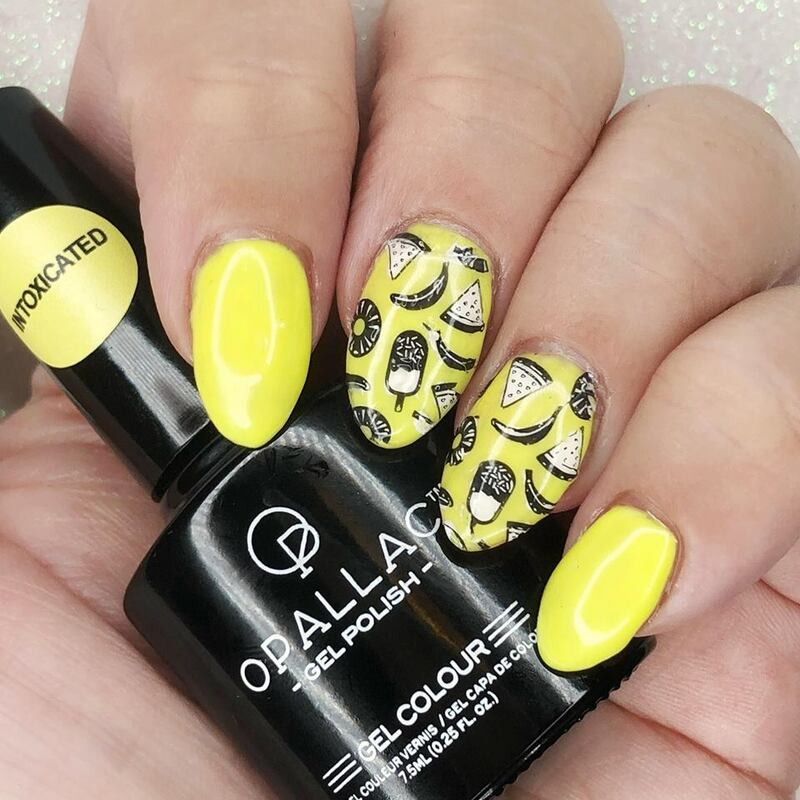 Check out Opallac's range over at their website here, or at Priceline.